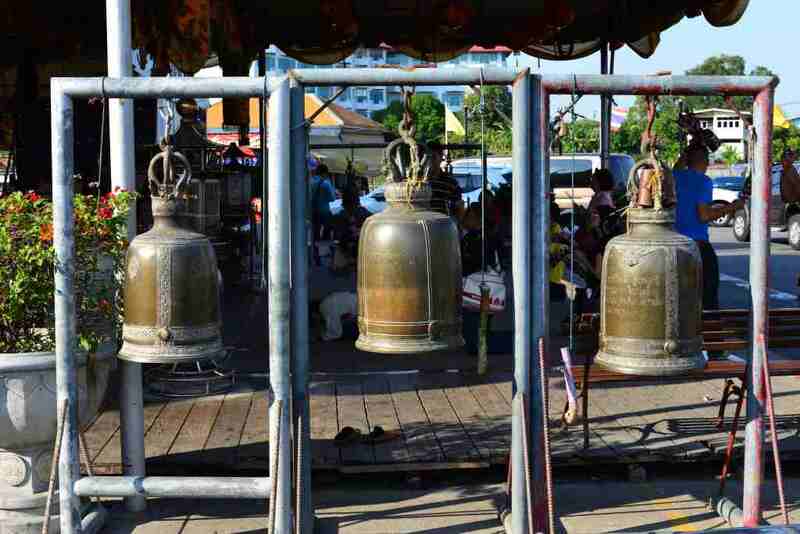 Today’s destination involves some of the temples located to the southeast of the island, the trip to which begins by cruising Thanon Chee Kun, one of the town’s main north-south arteries that runs past some of the major wats (Ratburana and Pra Mahathat). I stop off at a quaint noodle place that offers the same chicken soup, varying among eight different sort of noodles on a small terrace overlooking the decaying stupas. It seems somewhat incongruous that this tiny establishment would host so many foreigners, until I notice later on that Hung Lek comes highly recommended by the Lonely Planet Guide. A quick coffee in the very elegant Baan Kao Nhom boutique cafe on Uthong road leading towards the remains of the small fortress facing the junction of the two rivers in the southeastern corner of the island, then up towards the bridge crossing to the mainland that I crossed on foot when I initially arrived in Ayutthaya, except that the urban development to the south of the bridge looks as comfortable and well-tended as the area to the north does not. Across the bridge and onto the highway, then off to the south to visit the sizeable Wat Yai Chai Mongkhol complex, large even by local temple standards. 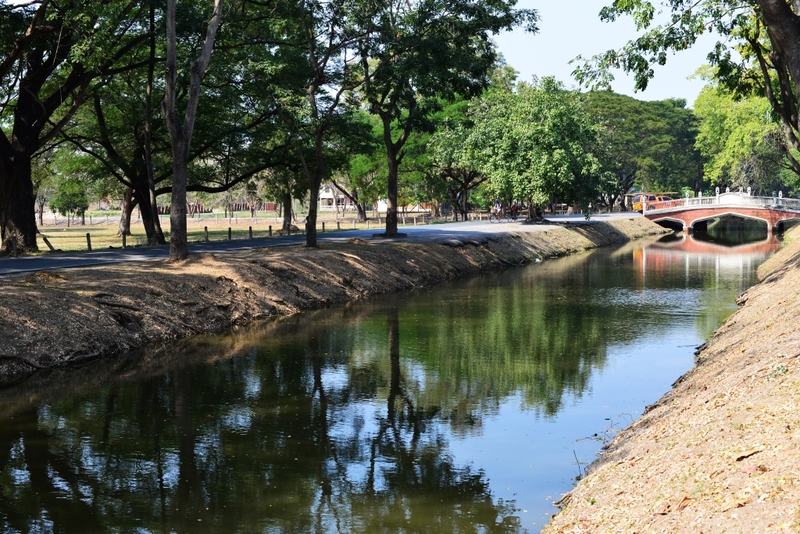 The complex was built by King U-Thong in the mid 14th century to celebrate a victory over the Burmese, milestones in the ongoing wars with the Burmese and Khmer largely being the motives for erecting temples in the day. Lesser but still quite voluminous stupas flank the perimeter of the central giant’s franchise. 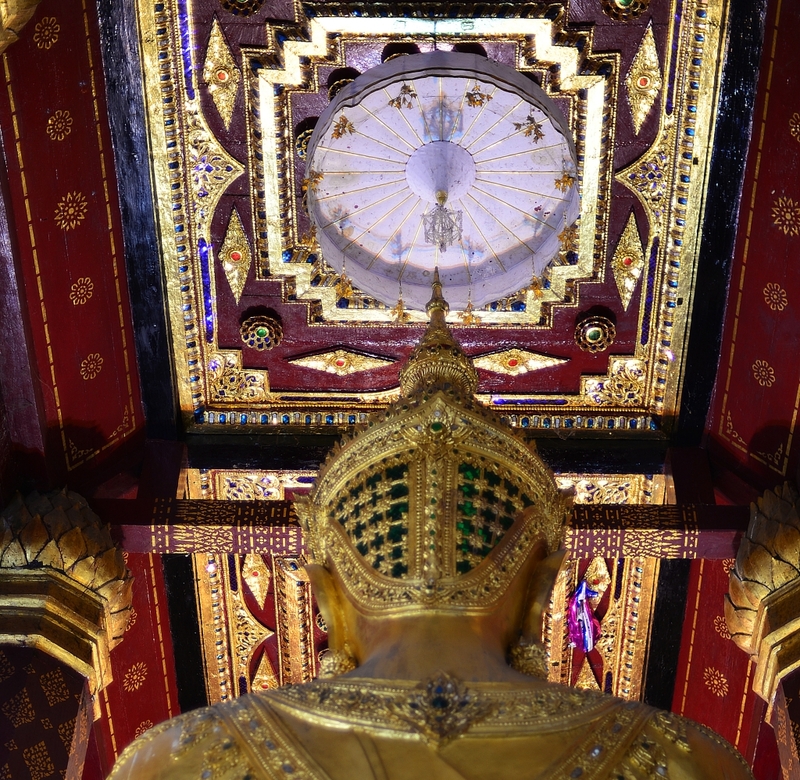 The stupa is fronted with an ornately sculpted set of hedges and arrangement of seated plaster Buddhas of various sizes, wrapped in golden shrouds. 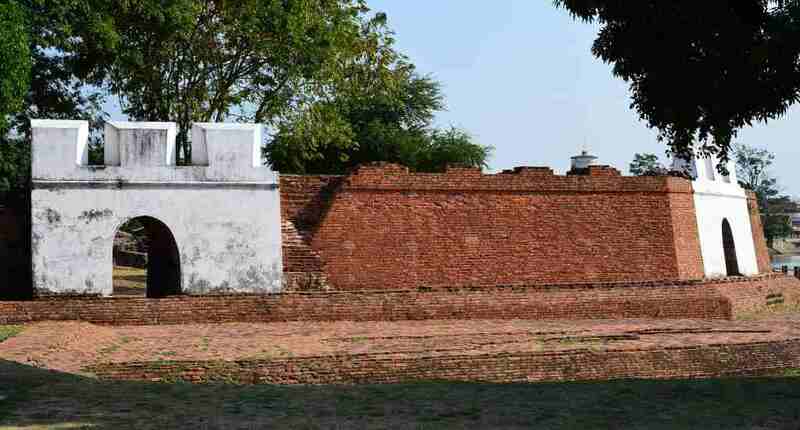 A low-walled courtyard defines the perimeter of the stupa, the walls lined with equally sized and equidistant Buddhas, the gates at the cardinal points of the courtyard flanked by larger sized statues of Buddha. 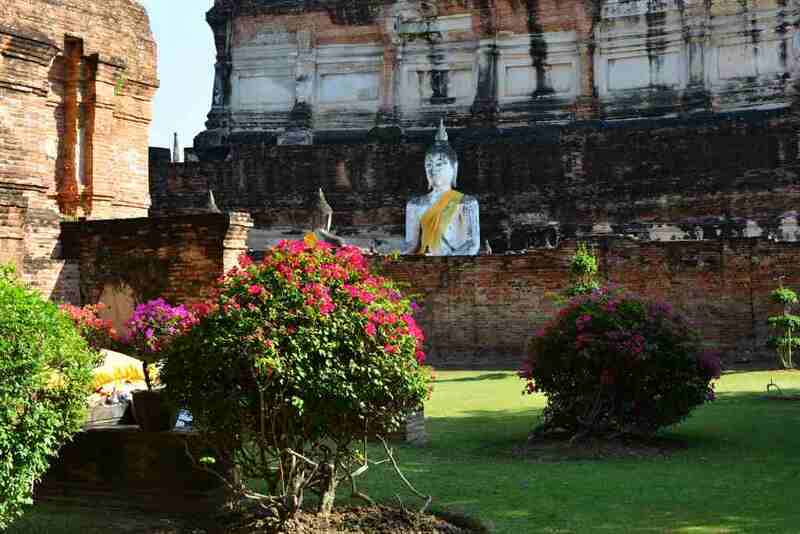 The aesthetics of the complex are enhanced by the brilliant contrasts of colours, between the red bricks of the aged stupas, the cerise and burnt lemon of the artfully planted bougainvillea, the cream-coloured plaster, and the swaths of golden cloth adorning the statues of Buddha. 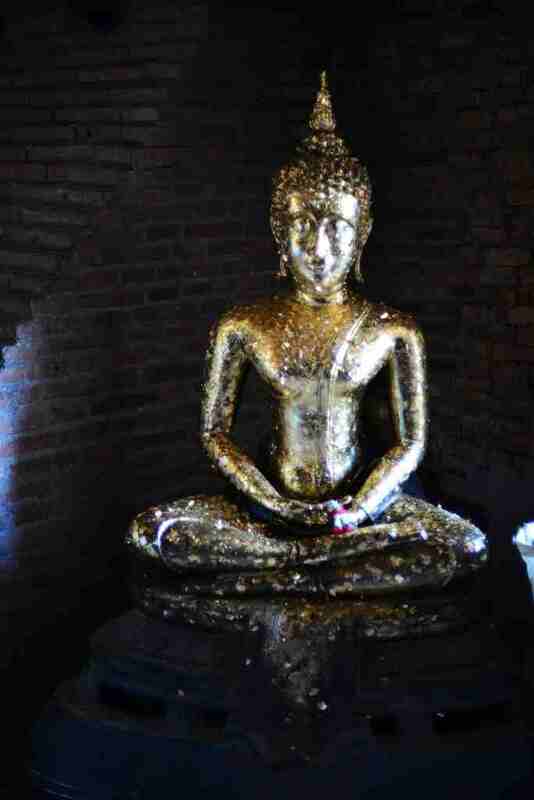 Up the steep steps into the central chedi’s gallery, an arc of Buddhas seated against the walls, facing inward, covered in mottled flecks of gold leaf daubed on by adherents over time. 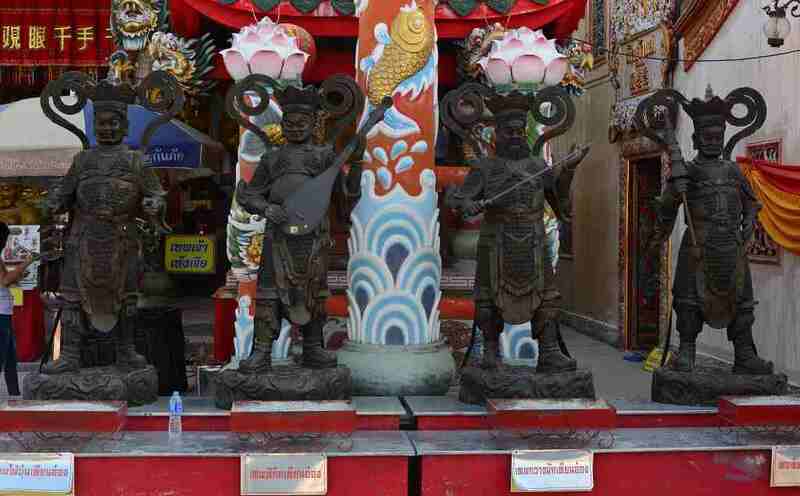 The presence of monks and worshippers indicates the temple is still very much a place of worship to the faithful. 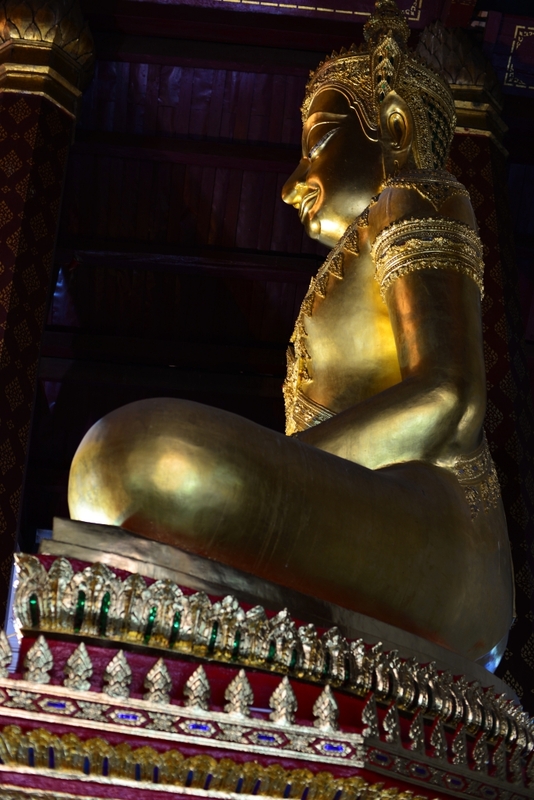 Into the southeast corner of Ayuttaya, the Wat Phanan Choeng, less impressive in the sense of the overall age or archaeological integrity of the site, but whose claim to fame is a gigantic golden Buddha statue measuring some 19 metres in height, apparently dating from 1324. 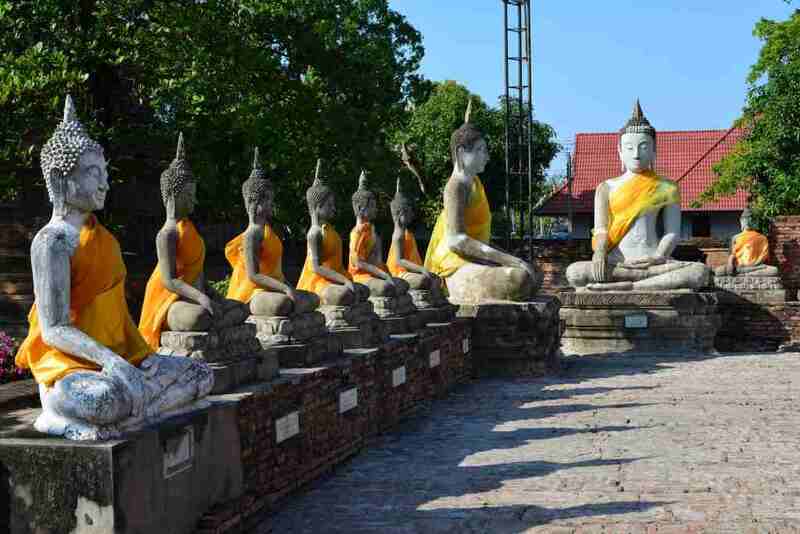 It is not possible to enter the enclosure where the statue is located, since the area around the statue is filled with seated worshippers. 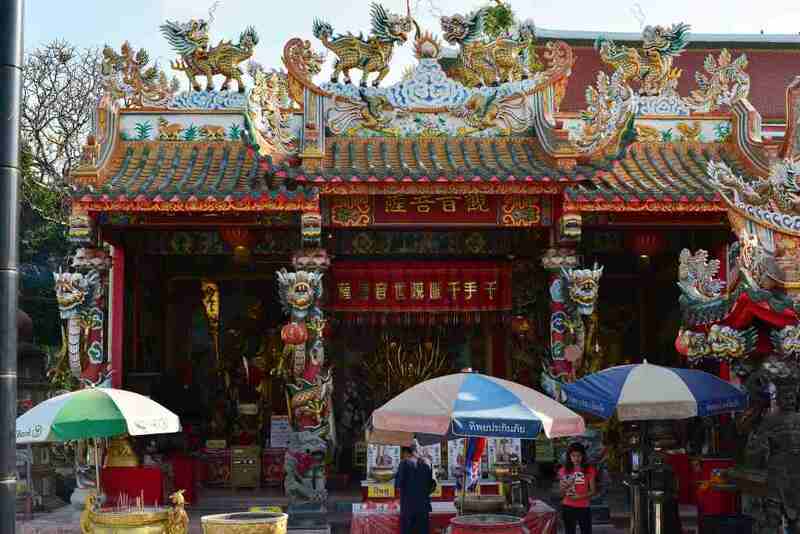 The rest of the temple is only vaguely interesting, except for the fact that a portion appears to be Taoist rather than Buddhist, which is accounted for by the having been motivated by the visit in the 15th century by the legendary Chinese naval admiral and explorer Zheng Ho. 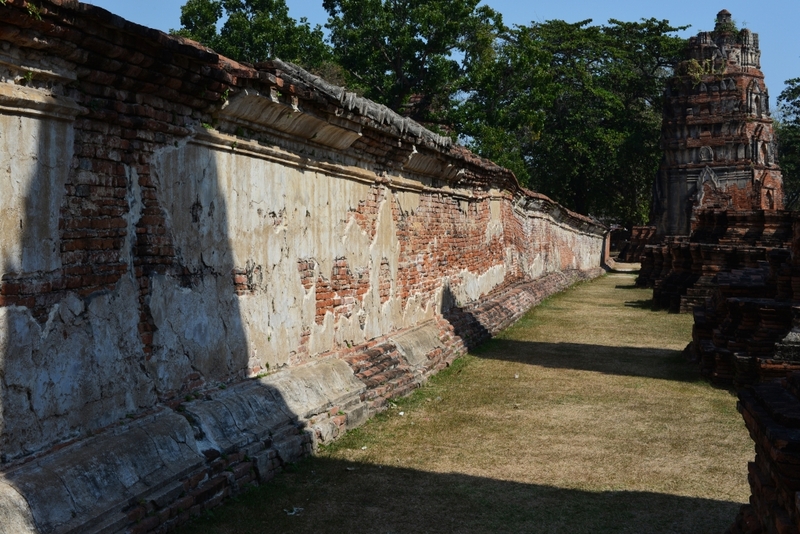 Beyond Wat Phanan Choeng lie the foreign settlements that marked the diversity that the Ayutthaya kings encouraged, the remnants of the old Dutch and Japanese colonies, although the former amounts to a simple pastel colonial villa situated on the river, surrounded by a small garden and joining two large wooden ships dating from the era of the Dutch presence in the region. The latter I could not locate at all, probably because the signage is only in Thai and Chinese script. 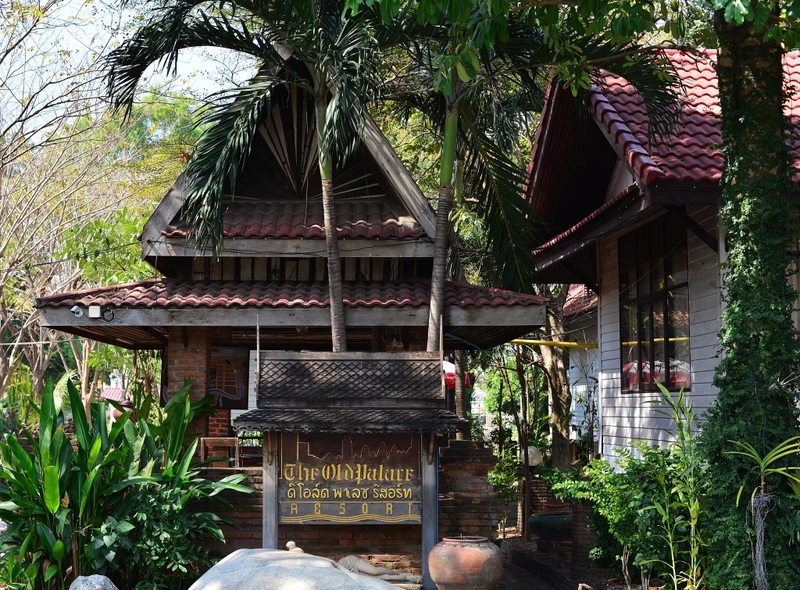 I had the intention of coming back to the hotel, booking the flight from Chiang Mai to Yangon with the assistance of the owner’s daughter, but nothing of the sort transpires. Ben and Christine are already seated at their table, exhausted from the day’s efforts, and they also got very little done – but they only had a single day to see the sights. I set up my laptop and try plugging the power cable in, but the neighboring socket won’t accept the adapter plug, not a good idea, considering that the laptop battery needs replacing and the power depletes relatively quickly when not receiving AC power. When booting up the laptop I can’t get an internet connection. As per yesterday’s instruction, I shut off the wifi and reboot the laptop, then turn the wifi back on – still no internet connection. I ask the girl to reboot the router, then go through the process again on my laptop, and lo and behold, an internet connection! When attempting to book the return flight Chang Mai-Mandalay, I can select the cheapest web fare of 2390 Baht outgoing, but when I try to select the corresponding fare for the return flight, an error message is displayed, implying you can’t select the same discount fare on both legs of the journey, which seems utterly ludicrous. The girl asks me to call the airline, as they should be able to assist me better if I speak to a live person. After some waiting, a live person answers, only to tell me that the return fare would be just under 9,000 Baht. What about the web fare? The return fare should be about half that price! No, apparently if you contact the call centre, the web fares are not available. The daughter of the owner is sceptical, then calls the airline herself. No, she tells me, they did effectively issue me the web fare, just that there were some 3,700 Baht in taxes and insurance. I tell her those excessive service charges would seem inconceivable, especially when flying out of an airport as small as Chiang Mai – chances are that the airline is just inventing ways of gouging passengers. And if that is actually the case, I will do my best to avoid flying with them. It makes sense that an airline would try to charge as much as possible when there is a captive audience, but the onus on the discerning traveler is to find better and cheaper options. I continue researching the flight possibilities in my room, and just as I expected, the fares on Air Asia from Bangkok to Yangon come out to 1,400 Baht one way, with no additional taxes. 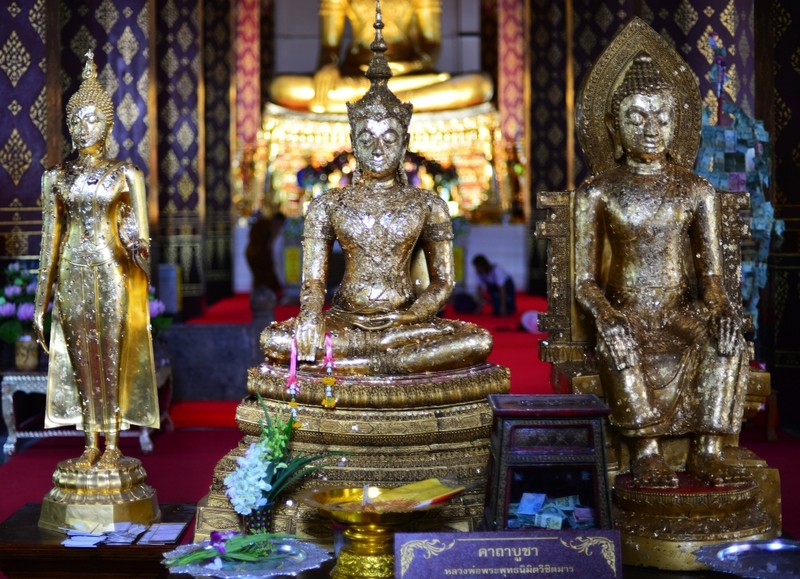 And so it will be – I will fly from Chang Mai back to Bangkok for a paltry 790 Baht, then from Bangkok to Yangon, and will return from Mandalay to Bangkok for $46, all on Air Asia. Oh, and after another month in Thailand, continue on to Brunei, for just over $100, also with the same airline. So, Bangkok Airways, hopefully enough people do their research before buying tickets with you – except their service is so limited and so many people are dying to visit Myanmar that they could probably charge whatever they want to. After all the frustration is said and done, I have gotten no writing done in my journal, and I had not wanted to postpone the description of the day’s events until tomorrow morning, given that I have a full morning planned in addition to traveling to Lopburi. Despite Ben and Christine’s recommendations of the matron’s amazing pad thai, the prices here are quite high, and I wouldn’t mind one last bike ride into the blue yonder, in particular, to the evening restaurant market, the night market already shutting down but the owner of one of the many stalls happy to greet me and serve me her version of green curry. I should probably not have eaten dinner at all, given the amount of snacks I had earlier on, never mind the decisions regarding onward travel that are weighing me down. When I return to the hotel much later, at least momentarily ready to take on the world – there is yet again no internet connection. It is just too late and I am fed up with the unreliable connection here – I have been picking up wifi signals all over the island, only not here. This morning was to be a last romantic view into my stay in Ayutthaya, quickly revisiting the places I had passed through in my few days here. 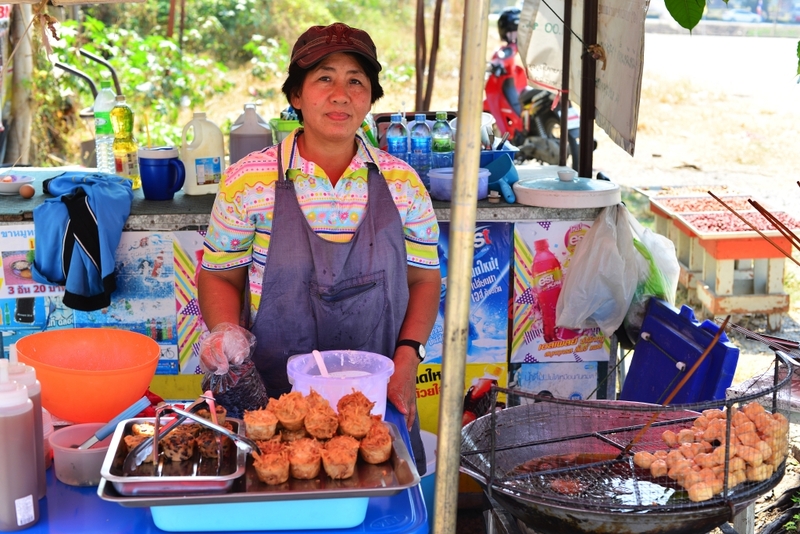 The muffin vendor shows me how she makes her wares with a combination of flour, shredded taro, and red beans, while the jackfruit vendor, also across from the Wat Na Phramen temple, laboriously culls the fruit from the unshapely spiked gourds. I revisit the whimsical Hunsa cafe on U-Thong road, realizing now that the spiral staircase leads to a small and amazing rooftop terrace with multicoloured, weathered untreated wood furniture looking out over the leafy neighborhood, with the spires of nearby chedis visible. 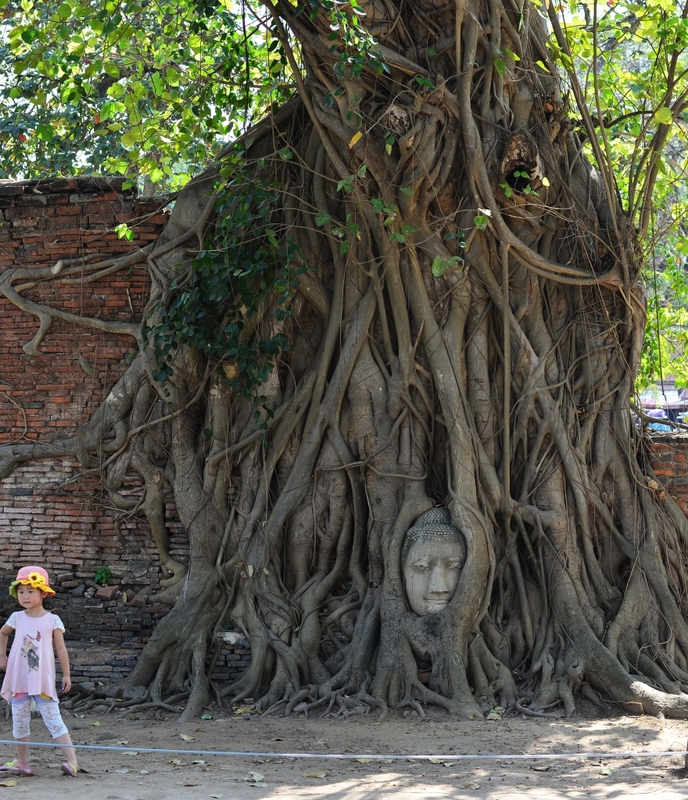 I take a series of photos of the Old Palace resort that did such a wonderful job of hosting me in the time I spent in Ayutthaya, then walk through the Wat Na Phramen again, surprised to see a woman violently reprimanding what I presume to be her daughter, gaudy collections of religious statues set out under shade-bearing trees, small fountains and pools, lesser pavilions, the main attraction the central temple with the enormous golden statue of Budda heralding ancient times, before which devotees and tourists alike prostrate themselves. The few monks lounging around are more likely than not busily staring at their phones while reclined in some position. As it is a weekday, at least the numbers present are relatively manageable, unlike the hordes that were here on the weekend. 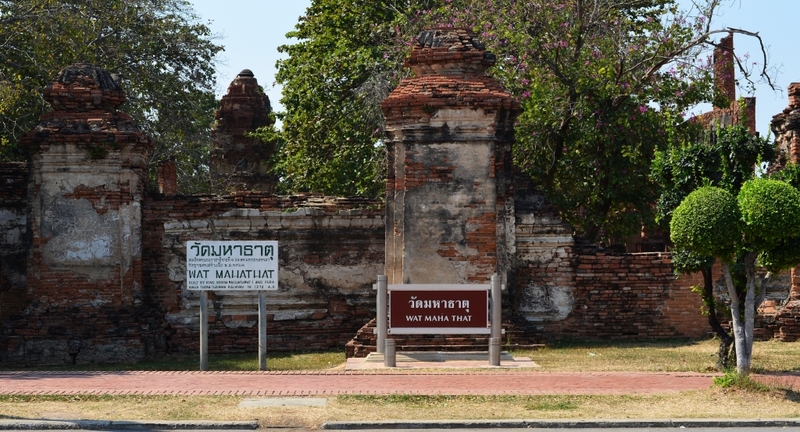 The other attraction I had wanted to take in prior to leaving in Ayutthaya is the Wat Maha That, one of the largest and most central of the ancient temple complexes, adjacent the Wat Ratcha Burana I saw on my first day here. The layout of the temple is more complex, consisting of a number of subsidiary developments spread over a considerable terrain, again linked to wartime achievements and then used as a staging ground for military efforts, later driven to ruins by invading forces – all of the same creed. What seems deeply confusing to me is the notion of Buddhism as a religion of peace on one hand, and the linking of almost every ancient temple I have seen here to some devastating military action, either to celebrate a victory and/or as an arsenal/fortress in a war. Sound familiar? 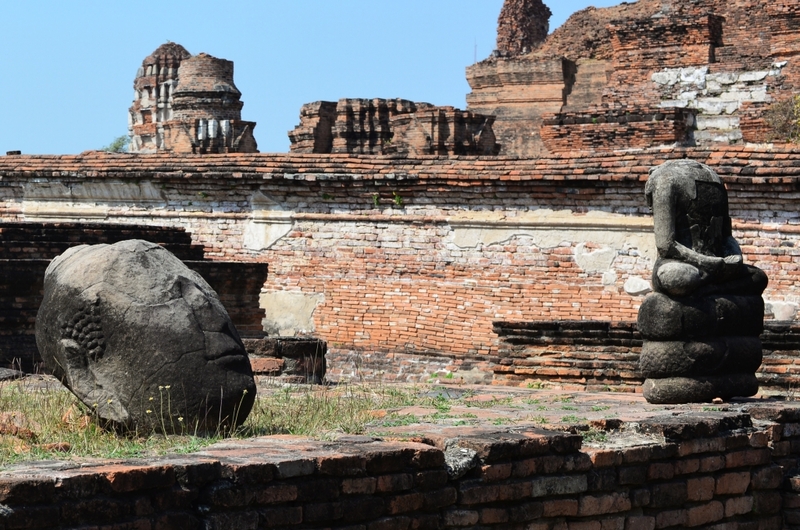 Since the temple site was reduced to ruins, it was never rebuilt, and in a purely ruined state has its own magic, not that there aren’t enough remains of various architectural constructs relevant to the Buddhist religion of the period to keep visitors busy for some time. Stupas large and small are scattered through the terrain, broken remnants of statues lining some walls, a few Buddha statues still erect on pedestals. 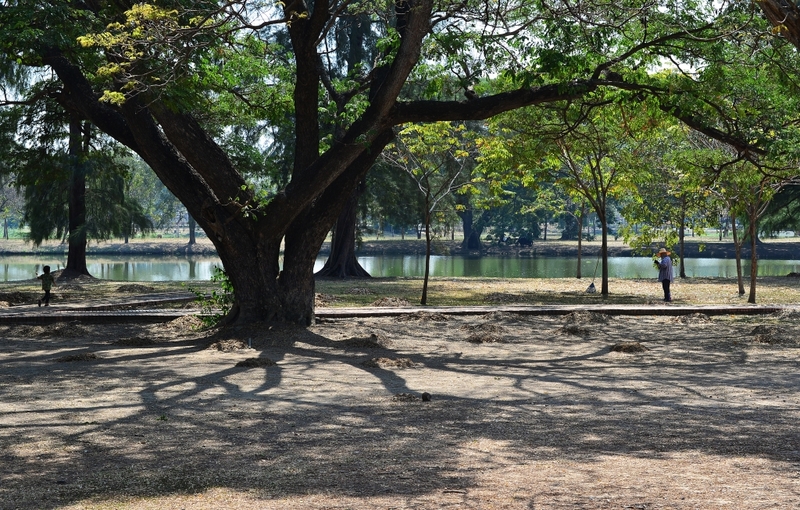 Surrounding the park an extensive complex with lakes and shade-bearing trees provides an appropriate place to wander off in quiet contemplation if the need arises. Two smaller prangs tilt at odd angles in opposing directions, others erect and surprisingly intact, the essential architectural features present, including the staggered facades, staircases rising to false porticos or interior galleries, with occasional bits of ornamentation still present. The remnants of a seated stone Buddha faces a small open courtyard of smaller seated Buddha figures in two facing rows on either side of the courtyard. The signature attraction at Wat Maha That is the Buddha’s head buried in the roots of a bodhi tree, which of course everyone wants the perfect shot of, and inexplicably, an Englishman with a medium format camera erected on a tripod is intent on taking a long exposure shot of, even though the site is almost never clear for more than a few moments. 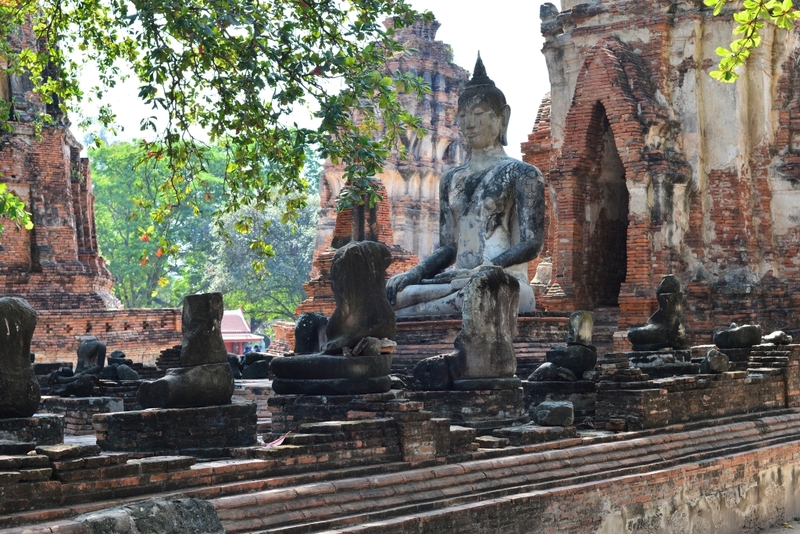 He comes back year after year to Ayutthaya and takes different sorts of shots, this year focusing on panoramic black and white shots. He is a very serious photographer who picked up the trade from his father, who was himself an incredible photographer and left an archive of historic shots of top quality of war-time Canada that he would like to pass on to the country. He has never seen as many tourists here, and has no explanation for the crowds. That said, it has been very cold in Thailand recently – there is in fact a short period when it is in fact not incredibly hot in the country. I can feel the heat building now though … it is definitely hotter than when I arrived. 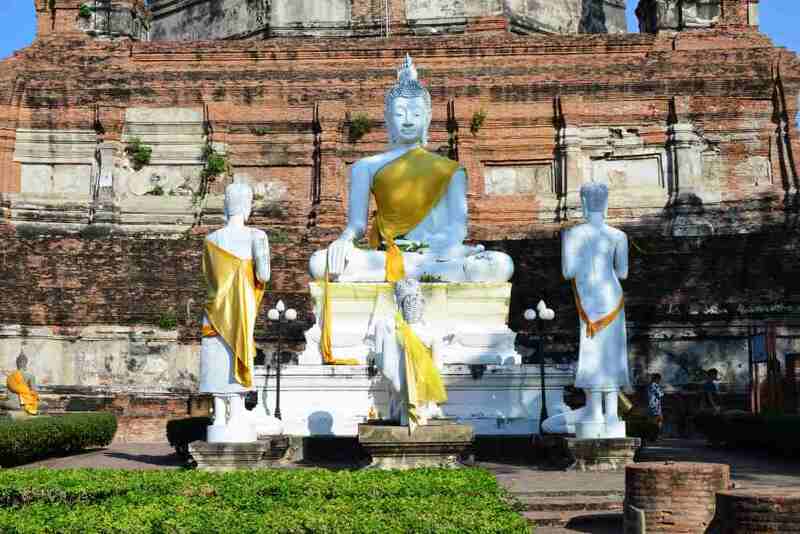 I should really return to the hotel and move on to Lopburi, but I sense that the time spent in Ayutthaya will probably be better spent than in Lopburi – and I dread the idea of getting attacked by feral monkeys, something Lopburi has a reputation for. Perhaps I could visit the tourist centre that is supposed to be close by for its alleged overview of the early Ayutthaya culture, but again, no such luck – despite my best efforts circling the blocks around where the centre is intended to be located, at least according to the map provided. Instead, I end up at the National Museum, which should have been a mandatory stop in Ayutthaya, except that I really can’t afford to spend numerous hours wandering through the multitude of buildings viewing what probably is a very important collection of ancient Buddhist artwork. Maybe another time! 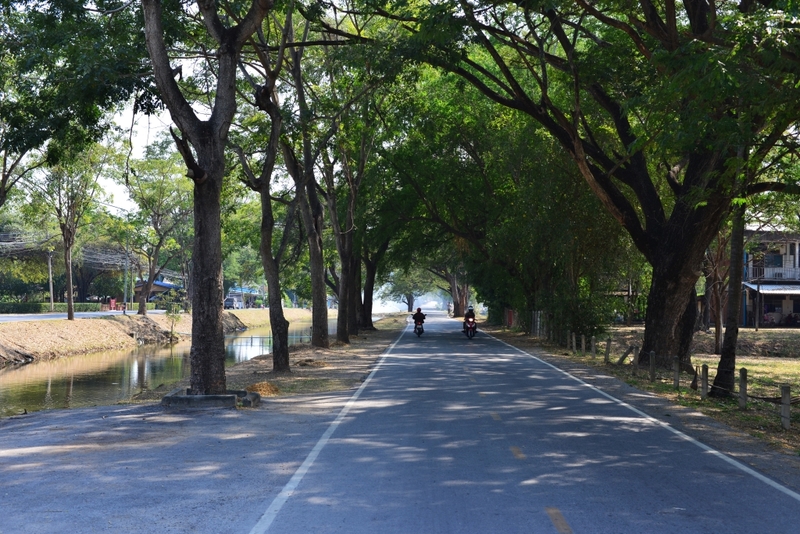 Meandering along the treed canal-side road back in the direction of Wat Na Phramen, a young woman calls to me for help in finding some local attraction. 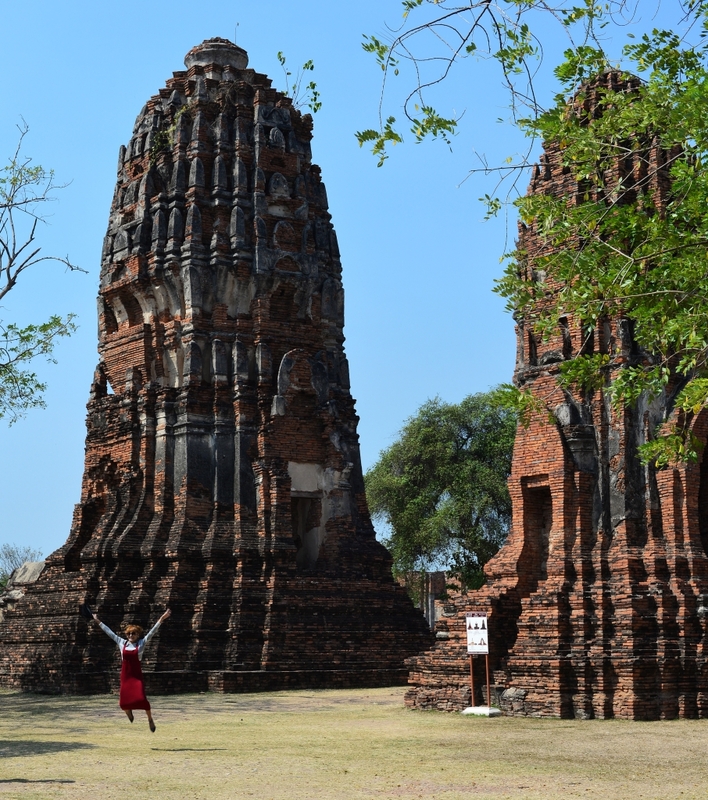 Julie is originally from upstate New York and on her first trip out of the country, on one hand quite nervous, but on the other the fact that she is wandering off on her own to the remote temples of Ayutthaya shows some degree of independence. As ridiculous as the bikes are, it would make sense to rent a bike just to be able to take the attractions in more efficiently. I continue giving her moral support, but she is skeptical – don’t worry, when you get back home you will feel a lot more positive about it all, although you do have to make sure you don’t cross the line in terms of safety. And as far as the subject of meeting people is concerned – aim at solo travelers – people who are in couples or groups are not really here to meet other people, as they travel within a deliberate and self-contained safety zone. She mounts on the back of my tiny girl’s bike, and then we are off, wobbling northward down the road to some fairly incredulous stares, ostensibly in the direction of the giant reclined Buddha the Englishman had shown me photos of earlier on. 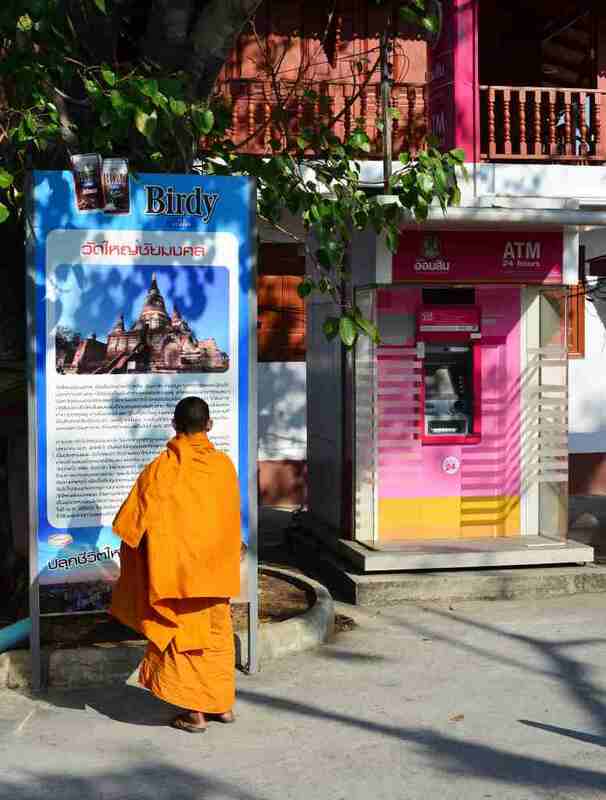 We reach U-Thong road and then weave back through the assembly of small temples in the northwest corner of the island that I had heretofore not yet seen, then weave back southward, across a broad rectangular plaza of razed columns and other structures. 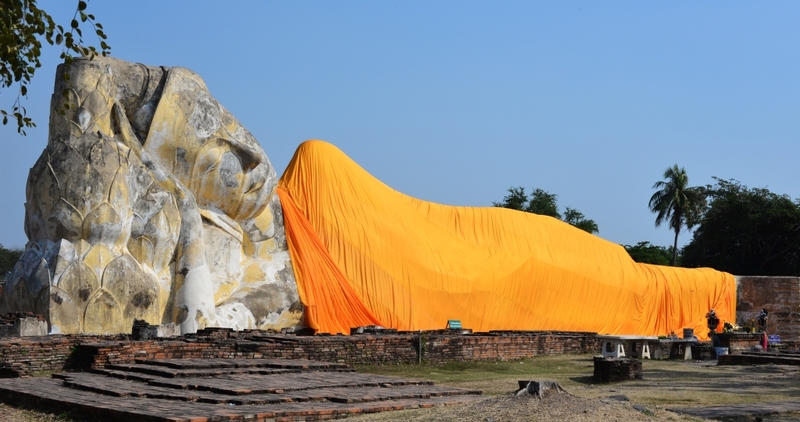 We see the outline of the enormous reclining Buddha, and meander vaguely in its direction. The obligatory photos and another torrent of words of encouragement for the young American ensue, but then I really need to return to the hotel, given how late it now is. 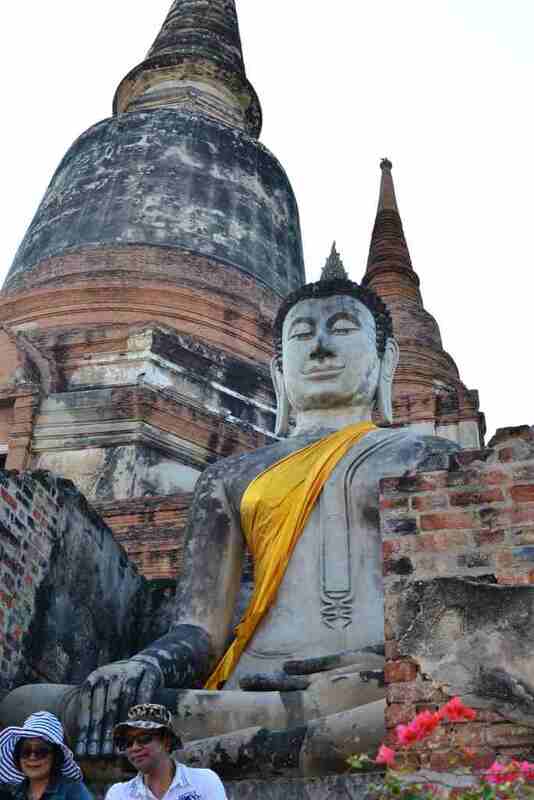 I would like to be optimistic about the trip to Lopburi but can already sense that things will derail. I return the bicycle to the rental facility, and they discretely don’t charge me another day for the bicycle rental, even I obviously overstayed the time I spent with it. The daughter of the owner at the Old Palace hotel has been so very helpful to me, and now expends her last effort on my behalf, calling a tuktuk, the driver confirming that the minivans to Lopburi don’t go anywhere near the town centre. As much as I would like to avoid taking the train, the train it will have to be, since it does pass by the town core. One last time the landscape of Ayutthaya slides by, but at the train station the ticket vendor confirms that the next train for Lopburi will be passing at 6 pm, in two hours. So much for frequent train service! And it’s not as if the train would have the remotest chance of coming on time anyway. I return to the minivan options – except now I have to get the appropriate station with all my things. Still clutching my 20 Baht note, I leave the building, and ask the tuktuk drivers assembled in front what the fare to the minivan station would be – 80 Baht, and it’s roughly half the distance to Wat Na Phramen? Forget it, I’ll walk – and no one makes an effort to offer a better price. Trudging along the same route as I arrived, I cross the bridge with my heavy packs, yet again, over to the first canal, then lumber the four blocks north until I reach the vicinity of what looks like a minibus station and am pointed back and forth by several people until I am finally directed to the place where the bus is supposed to be staged. For the fact of being developed enough to absorb the vast numbers of tourists that come to the country, it is really not that easy to travel in Thailand on a tight budget, given how apparently chaotic and poorly developed relevant services are to the outsider. The cab fares are not locked down, so that drivers can pretty well charge whatever they want to. The public transport locales such as bus stations have no signage of any sort in English and no apparent officials in the capacity to help tourists. Then it is hard to find anyone on the street that has an even vague understanding of English. Amidst a horde of uniformed schoolchildren I wait, although I am really hoping the entire crowd is not vying for a seat in a minivan. Happily, it turns out that they are mostly waiting to get onto one of the larger buses. Shortly upon my arrival, the minivan for Lopburi arrives and a few schoolchildren pile in. I take a back seat, dragging my heavy packs into the back alongside me, since there is no luggage compartment. I have to disembark immediately as I can’t breathe. An older woman who speaks English motions to the roof of the car, indicating that the air conditioning will be turned on when we leave. Despite this, the trip is at least initially extremely uncomfortable, since I am crammed into the raised back seat at the back with my backpack on my lap, my face essentially pressed upward against the ceiling, preventing me from being able to make anything out of the passing landscape. 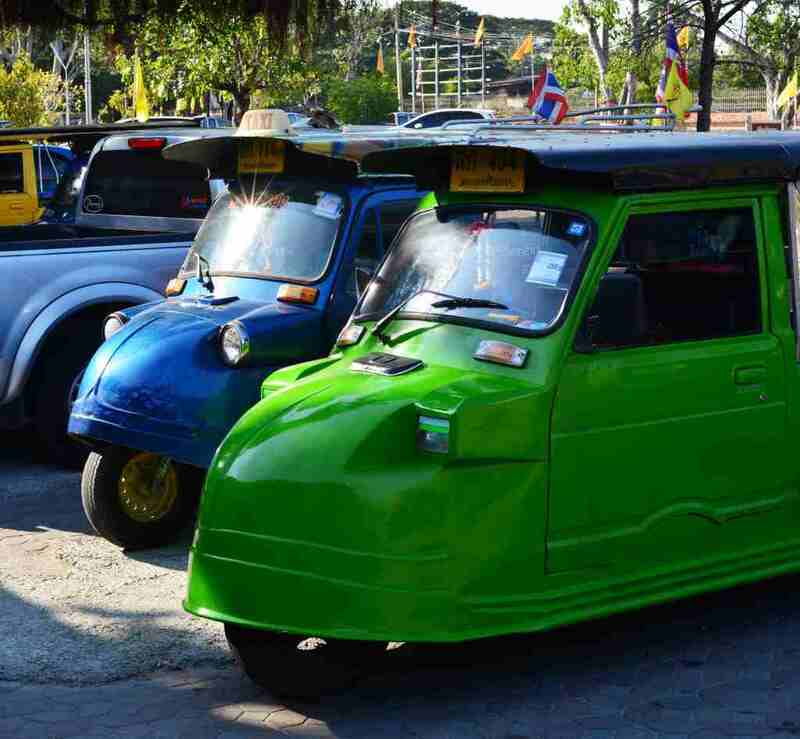 Then the question arises as to why I can’t take a bus to Lopburi – surely there must be buses in addition to minivans. We depart, after slowly weaving out of town, the minivan finally hurtling along the highway. From what I can make out, the landscape is flat, green and uneventful, with areas of scrub, others cultivated, with small settlements en route. Eventually most of the uniformed schoolgirls have disembarked, leaving me one of the lone passengers on the shuttle. Long after the bulk of passengers have left, leaving only myself and a woman alone to race through the oncoming darkness, I am dropped off in what is allegedly Lopburi, and I fear for the worst, expecting to have been dropped off in the middle of nowhere. However, since I can see the railway track, this may actually be the centre of town and the railway station proximate. The girl working in the 7-11 across the street confirms that the Noom Guesthouse the Lonely Planet guide raves about is just around the corner. Am I ever in luck! Or so I think … I proceed down the back alley a block away, past several dedicated farang restaurants (belying the idea that this might be some sort of off-beat travel location), the largest of them being the expansive patio of the Noom Guesthouse, already a bad sign, some backpackers inexplicably waving to me as I walk by. The reception at the Noom initially ignores me as the restaurant is extremely busy, only to tell me they have no more single rooms. Well, maybe I could have booked a room if you had bothered answering my email last week … The man gives me a vague but cheerful response about their website having been down, which was of course not true, but it doesn’t really matter at this point. The only room he can provide me with at this time is a double for 300 baht, located in the nearby annex, which his young cohort will accompany me to. The man looks askance as I heave my heavy packs onto his motorbike and we drive around the block, where he opens the gate and leads me into the grim, barracks-like building, a rickety wood staircase leading upstairs to a poorly lit hallway with a series of closely placed low doors, one of which he opens to reveal some low beds with tatty old mattresses, grimy walls and weathered window shutters, the shared bathroom downstairs reminiscent of 1940s military barracks. I follow him out the door but keep walking to the Nett Hotel across the street, not remotely desperate enough to stay at the Noom, irrespective of the price. Between the more modest fan rooms for 250 baht and the air conditioned rooms with slightly more space and better furniture for 400, I’ll go with the fan room for now, as it is not quite that hot, and in any case, I can change my mind if necessary. I would go for the air con room if he would give me a discount, but he doesn’t look too motivated. 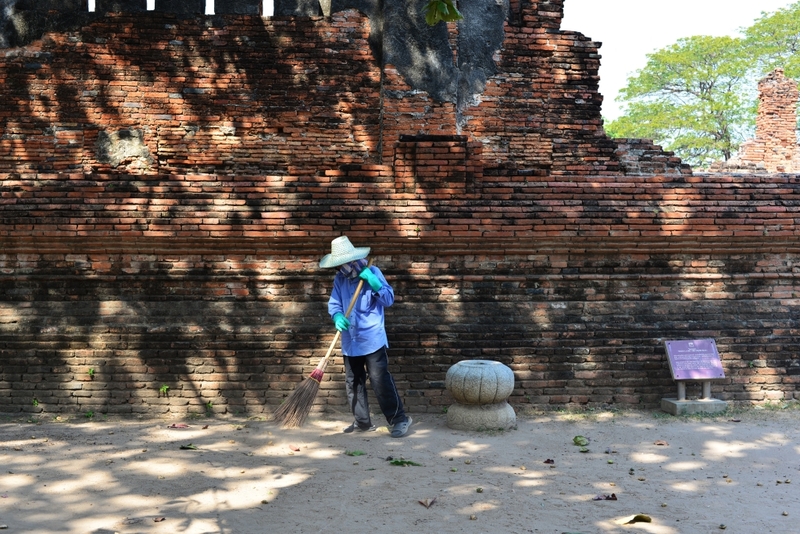 In any case, as institutional and uninspiring as the rooms look, they are clean, functional, the wifi works, there are internal bathrooms that don’t smell, and well, the place is at best a huge drop down from Ayutthaya. And not surprisingly, the wifi that works when I initially look at the room suddenly no longer works after I have finished setting up my things. Happily, service is restored when the routers are rebooted, but that’s only the beginning of the ongoing debacle with trying to get internet here. The young man at the reception indicates that there is very little in terms of prepared food available in town at this time – there is much more in the new town, but it is several kilometers away. 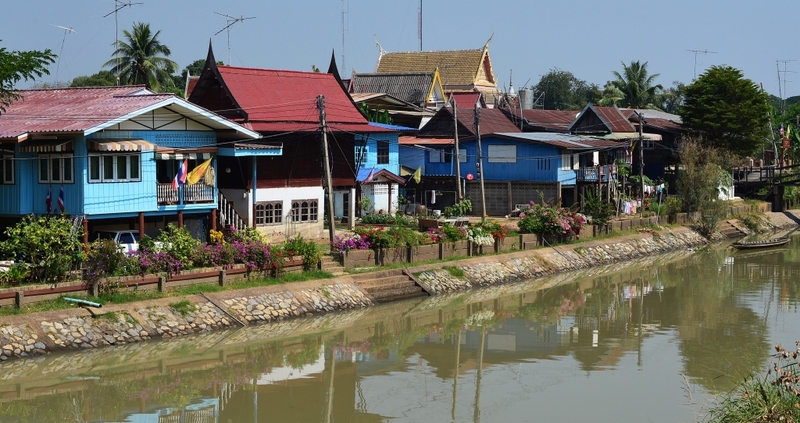 It then occurs to me that the issue with minivans dropping people off far away from Lopburi involves going to the new town, rather than the old town, where all the attractions are located. A walk around the block to the area of the train tracks reveals a block and a half of street food vendors set up amidst the parked cars with the usual offering, satay, waffles, crepes, full menu food, juices, some disgusting preparations of innards, raw, diced meats waiting for consumption in some fashion, sushi, Chinese steamed buns, and virtually none of the throngs of backpackers I saw earlier crowding the terrace of the Noom guesthouse restaurant. I snack on some cold satay, somewhat repelled by the propensity for street vendors to hand you grilled meats that could have been sitting in the heat for hours before you consume them, followed by an average and slightly too spicy tom yum soup. Strange as it seems, I think I am getting a cold or flu. I think it may have happened on the several occasions I got chilled in Bangkok, when the temperature had dropped far below what I would have expected. So in the end it is just as well that I didn’t take the air con room, as I want to be as hot as possible at this point.